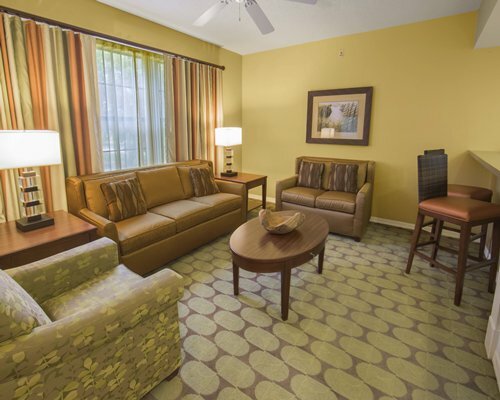 Holiday Inn Vacations at Orange Lake Resort is located on 1,450 of beautiful acres of lush greenery. A myriad of amenities and activities are available at this resort and the facilities of all four resort villages are available to all guests. 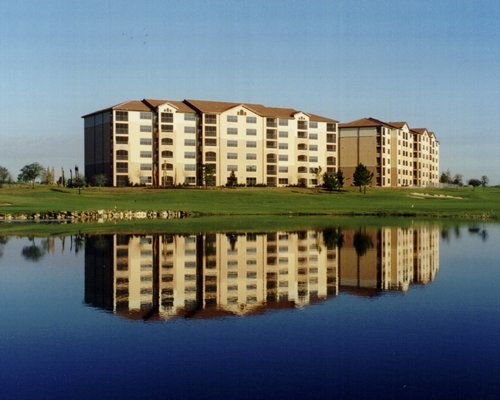 The resort features seven pools, a lazy river, an 80-acre lake with beach and water sports, four golf courses, seven restaurants, two mini golf courses, and more. 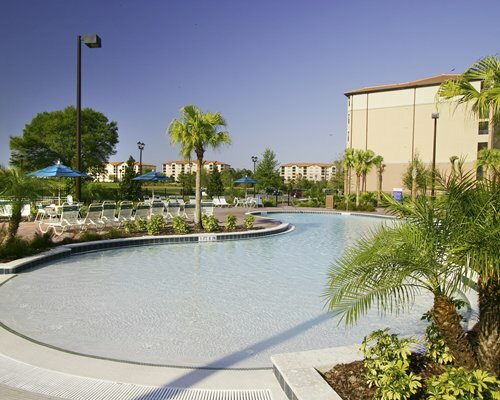 The East Village has two relaxing pool areas and villas which overlook the 18-hole championship golf course. 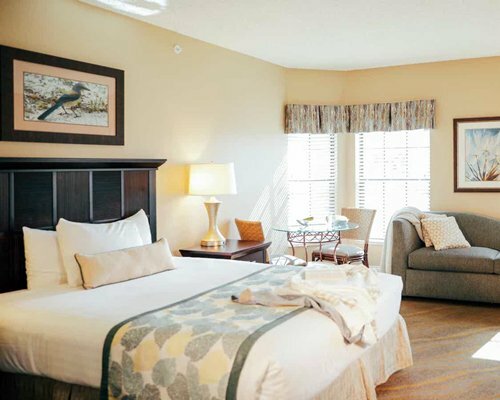 The spacious air-conditioned villas at the Orange Lake Resort are comfortably furnished, and make for relaxing accommodations. These colorful and airy villas feature amenities such as full or partial kitchens, a dining room and living room area, and a satellite TV with DVD player. Every villa is also furnished with a patio or balcony. The villas range in size, from studios to three bedroom units, and can sleep two to 12 guests. 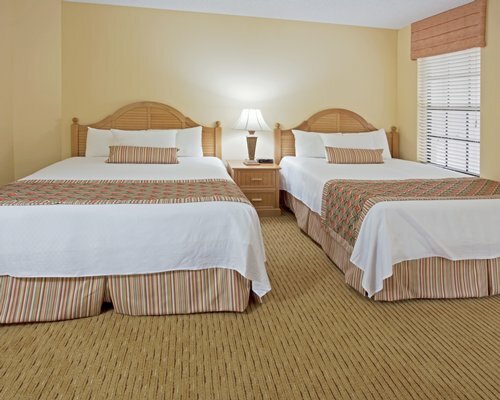 The resort town of Kissimmee is conveniently located near the city of Orlando, the Theme Park Capital of the World. 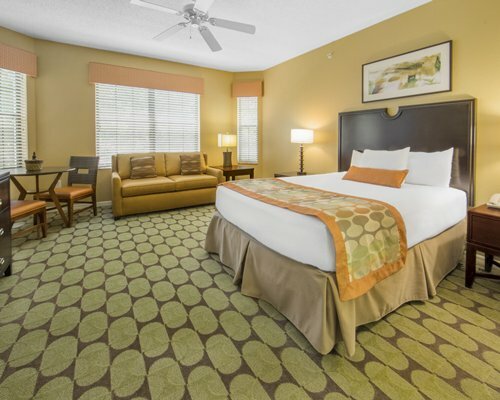 With it's proximity to all the attractions central Florida has to offer, and it's separation from the crowds of Downtown Orlando, Kissimmee makes for a comfortable home base. 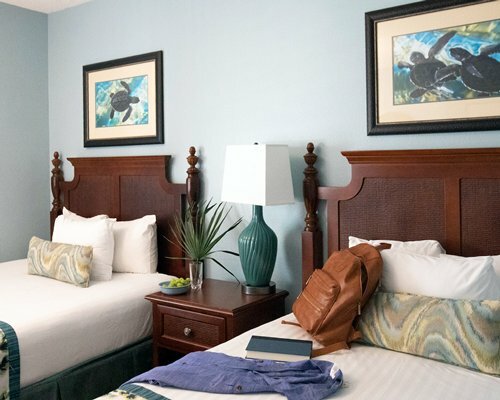 Walt Disney World, Universal Studios, SeaWorld, and a vast array of parks and attractions, are right at the doorstep when staying in Kissimmee. OIA is approximately 26 miles from the resort. Exit OIA onto South Access Rd and continue for 3.7 miles, then turn slightly left onto Boggy Creek Rd. At sign for Rt 417 South toward Tampa/I-4, merge and continue to exit 2, Celebration Ave. Turn right onto Celebration Ave. and continue to Rt 192. Turn left on 192 West and go to Orange Lake Blvd. At stop light, turn right into our West Village Entrance-you'll immediately see a security checkpoint. Continue straight until you see signs for the West Village Clubhouse on your left. Turn left, park near the West Vilage Club- house and check-in at the Front Desk. Mandatory Security deposit is 115 local currency. Only Credit Cards accepted. 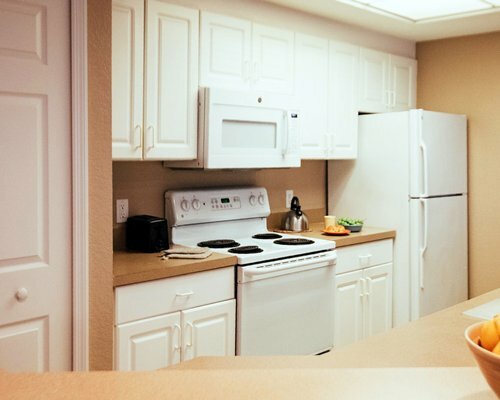 "Housekeeping fee for all RCI points reservations: There may be a fee of 140.55 U.S. dollars for 2 Bedroom units, per stay. Cash or Credit is accepted." 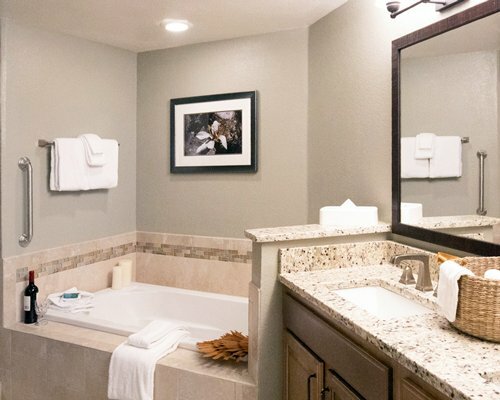 "Housekeeping fee for all RCI points reservations: There may be a 176.35 to 228.85 U.S. dollars for 3 Bedroom units, per stay. Cash or Credit is accepted." 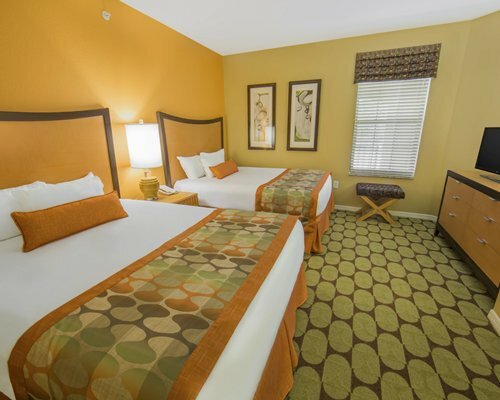 For Points reservations for less than 7 nights. 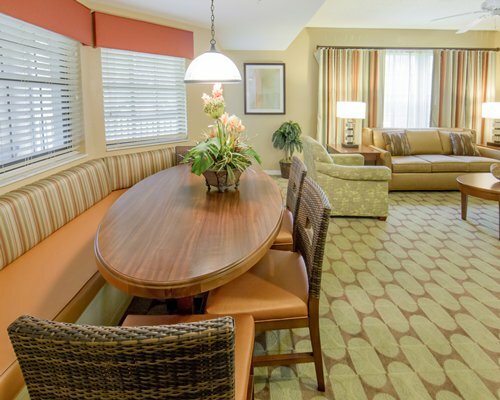 "Housekeeping fee for all RCI points reservations: There may be a fee of 104.47 U.S. dollars for Studio, per stay. Cash or Credit is accepted." "Lazy River will be closed from January 2, 2019 to February 26, 2019." Lazy River closure may result in excess noise at poolside villas. 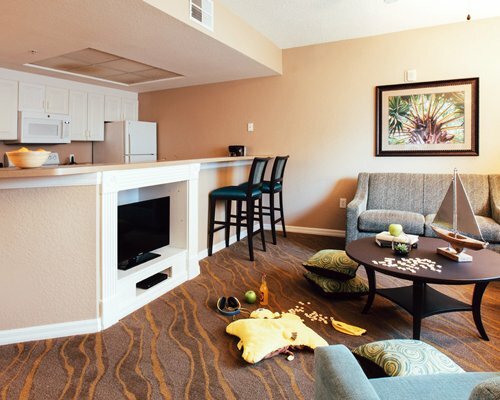 Resort amenities fee is 5.00 to 20.00 U.S. dollars. Cash or Credit is accepted. Optional. Please contact resort at 800-877-6522 with any questions.